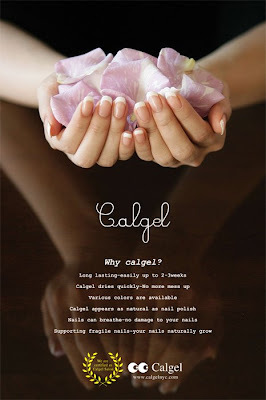 For the healthy nail, please consider to use Calgel. This poster will be spread all over in the US and wil see at your Nail Salon! 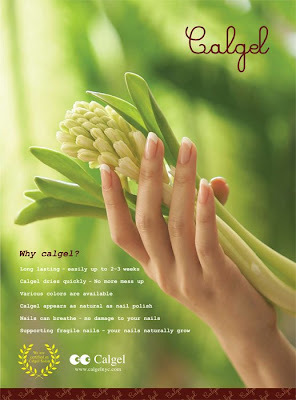 If you see this poster, please think about your healthy nail and ME! All thanks to give me this great chance to Nail & Spa Sakura and designer Toshi.